Electric cars are a more eco-friendly alternative to the vehicles that are powered by gasoline. Instead of running on gas, which is a non-renewable and increasingly expensive commodity, they are run by an electric motor, which is powered by a rechargeable battery. With gasoline-powered cars, you have to stop to fill up the gas tank. With an electric vehicle, you stop to recharge a battery. Electric cars are cleaner as they don't give off the CO2 emissions of cars that run solely on gasoline. They are also generally cheaper to run. Many of the greener vehicles available today combine a gasoline engine and an electric motor. Looking at the history of the electric car, it is interesting to note that the first electric vehicles were 100 percent electric, unlike many of today's models. Also, they were built almost 200 years ago! Is it time for electric vehicle technology to catch up to the automobile industry's needs today? During the 1830s, the first electric vehicles were made. Thomas Davenport, an American, created one of the first vehicles in 1835. Sibrandus Stratingh, an inventor from the Netherlands, came up with an electromagnetic cart in the same year. In Scotland, Robert Anderson also developed a vehicle powered by electricity during the 1830s. None of these inventions were easy to use or efficient enough for consumer use, but they were a beginning, a spark that could have been worked on to create magnificently efficient electric cars by the twentieth century — if the gasoline engine never took over decades later. Through the next several decades, rechargeable batteries were invented and developed with great strides made by French scientists. Even Thomas Edison jumped into the industry, by trying to develop a battery that was powerful enough to meet the demands of regular automobile use. He never succeeded. Finally in 1891, William Morrison built the first real, practical electric car in Iowa. History was made. Electric cars were always cleaner. They made less noise than gas-powered automobiles. They also could last for miles without a charge — the 1914 Detroit Electric for example could last up to 80 miles. So why aren't we all driving electric cars today? The answer is convenience. While electric cars were being developed and improved, so too were gas-powered vehicles. When the electric automobile starter was invented in 1912 by Charles Kettering, the gasoline-powered car suddenly became easier to start. By the 1920s, they were more powerful and could travel farther than the electric counterparts. Another huge factor was the ease of getting gasoline to refuel. All of these factors made gas-guzzlers more popular despite the environmental problems. In the 1960s and 1970s, the automobile industry started looking into electric cars again due to rising oil prices at the time and a greater awareness of environmental issues, much like what is going on today. A handful of rather boxy and very small vehicles were developed. None made it to the commercial platform. This second wave of electric vehicles never had the chance to compete with gasoline automobiles. They simply didn't have the horsepower and could not last long enough. To try to make up for the lack of power of rechargeable batteries, some of these electrics used fuel cells instead of batteries. Environmental problems never went away but oil prices did normalize and the push behind electric cars faded once again. 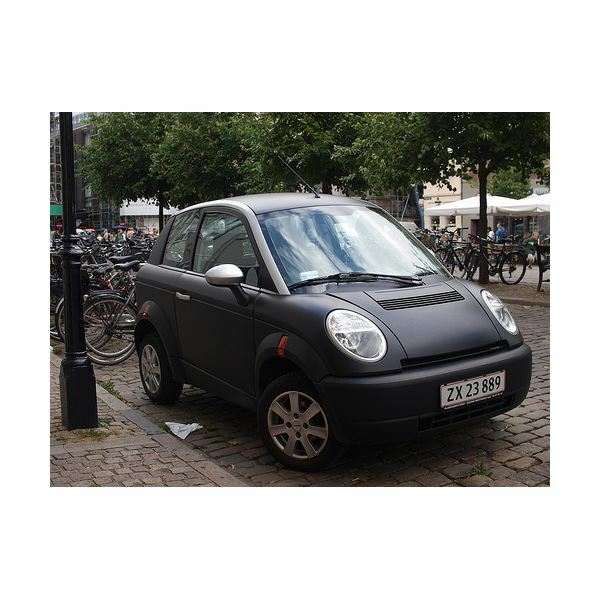 The second electric car revival really began in the 1990s, about fifteen years after the Electric and Hybrid Vehicle Research Development and Demonstration Act was passed by Congress to encourage the development of electric vehicles that people would actually want to buy. During the past decade, government initiatives around the world have encouraged more research and investment into the hybrid and electric market, including the American Recovery and Reinvestment Act of 2009, which put $2 billion aside for the development of electric cars and batteries. As the world again faces the reality of the environmental strain of gasoline-powered vehicles and the financial strain, more efficient electric models are being developed. Also, more and more electric powering stations are popping up across the country. Right now there are several excellent hybrid and electric vehicles available, such as the Nissan Leaf and the Toyota Prius. Many of the greener cars come with a higher price tag, but as the technology improves these numbers are sure to go down. This history of the electric car continues. Out of social necessity, electric-powered vehicles are on their way to a much smoother road.